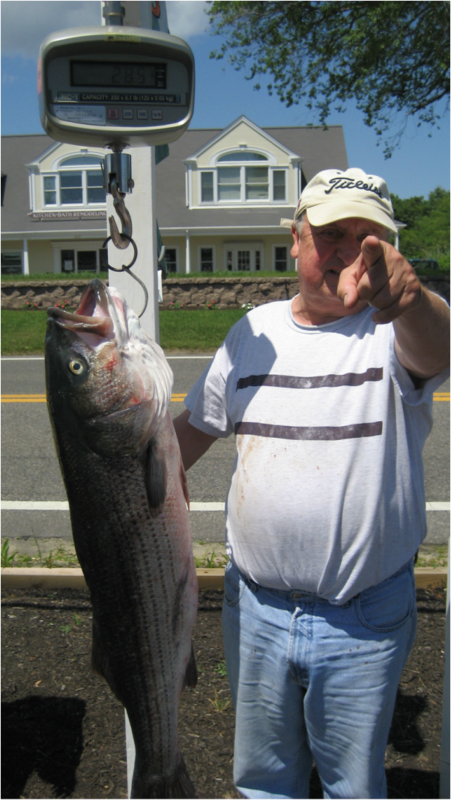 The Harwich Headhunt Striper Tournament is one of the fastest growing fishing tournaments on Cape Cod. It was started in 2004 by brothers Sean and Ryan Burke, and has since grown into a family run, grassroots tournament that celebrates the community as much as the fishing. It is an inclusive event, that welcomes charters, juniors and all types of recreational fisherman. Over the years we have seen the tournament grow from 3 boats in it's first year, to over 30 boats and over 200 anglers annually. The Headhunt is supported by the local community, including sponsors like Goose Hummock, The Hot Stove Saloon, Sunrise Bait & Tackle, On The Water Magazine, Harwichport Boatworks, Land Ho, and others. We will continue to grow this tournament as a low entry cost, welcoming tournament focused as much on the fun, trash talking and camaraderie as the fishing. We are always looking for additional support through sponsors, donation of prizes, and most importantly, fishing entrants. Please don't ever hesitate to reach out with any questions and we're looking forward to the 12th annual Headhunt this July.